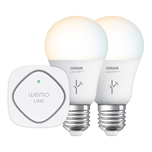 PLAYA VISTA, CA AND DANVERS, MA – June 15, 2015 – Continuing to grow its award-winning Internet of Things ecosystem, WeMo,® and OSRAM SYLVANIA today announced the availability of three new lighting starter sets featuring WeMo-enabled OSRAM LIGHTIFYTM™ LED products. 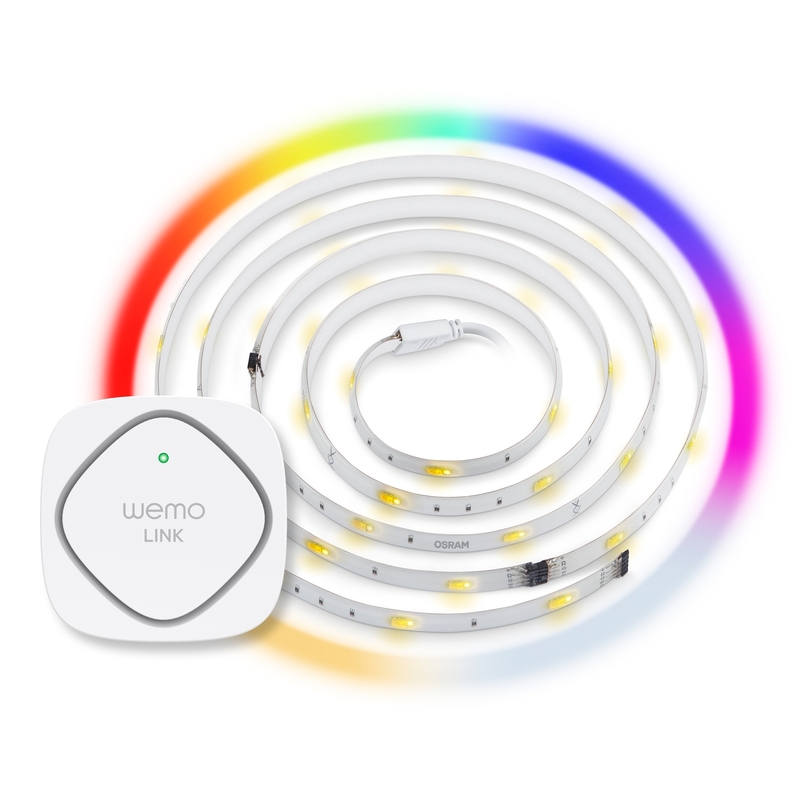 Designed to provide a fun, easy entry point to smart lighting, each WeMo LIGHTIFY bundle includes a WeMo Link ZigBee®-to-Wi-Fi bridge and a single combination of LIGHTIFY products including the Gardenspot Mini RGB, the Flex RGBW, and the Tunable White A19 LED bulb. First announced at the 2015 International CES, the WeMo-enabled LIGHTIFY bulbs bring enhanced lighting options for current WeMo users and connect OSRAM LIGHTIFY users to the WeMo’s growing line of home automation products including smart switches, cameras, appliances and sensors. 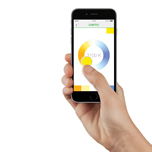 The bundled LIGHTIFY products will work with the included WeMo Link and the WeMo app, allowing users to control them from anywhere with a smart device. 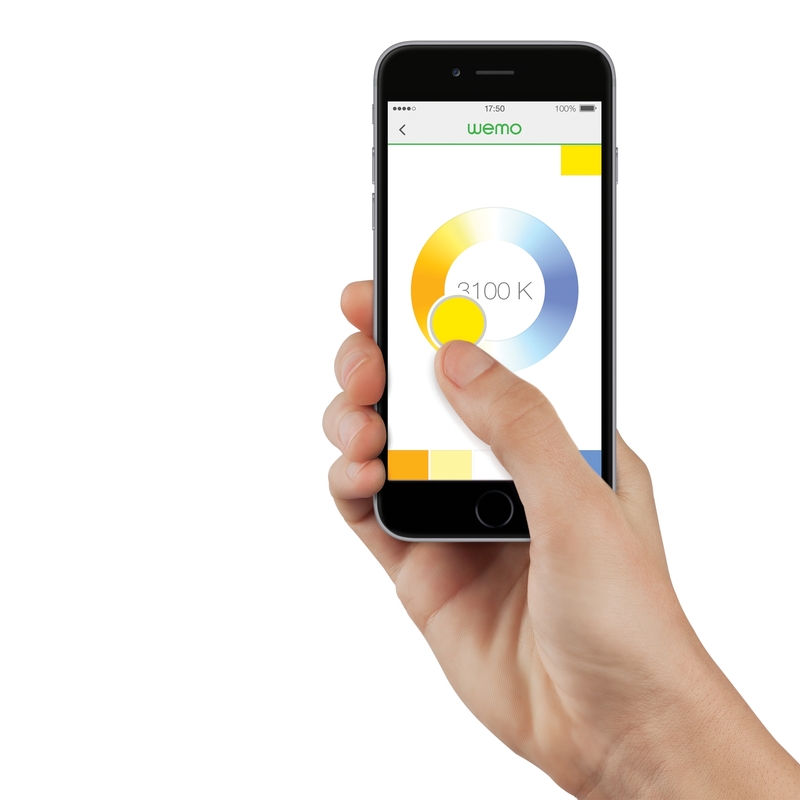 Through the WeMo app, users can change colors and color temperature, schedule lights to come on or off at a certain time or at Sunrise or Sunset, control lights individually or in groups, control brightness, or set a sleep fader to gradually fade to dark. The Gardenspot Mini RBG Starter Set brings thousands of color options to outdoor lighting and is best suited for gardens, decks, or walkways, even in wet climates. 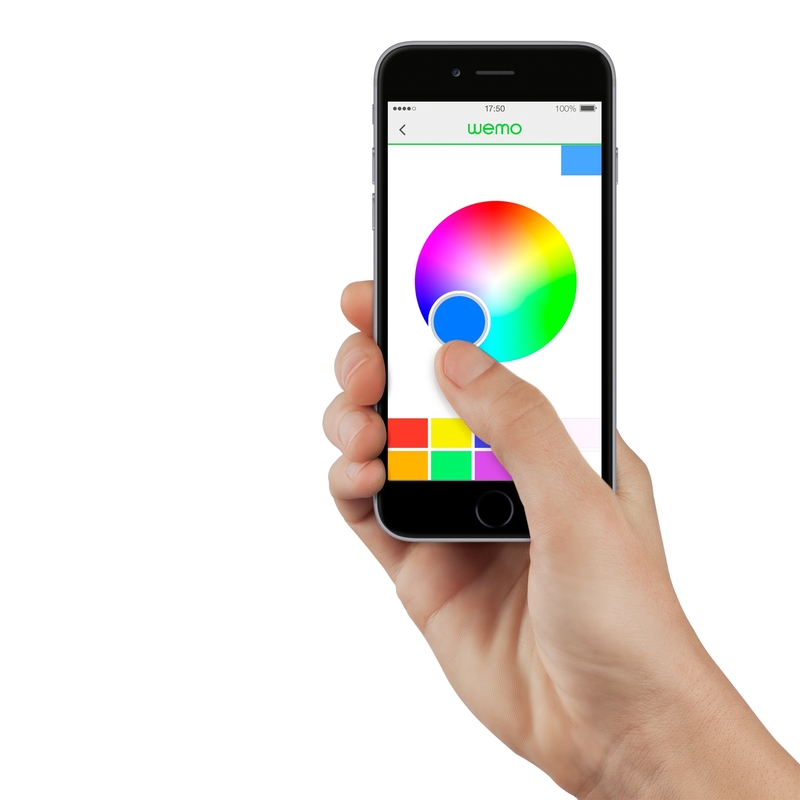 With the WeMo app, users can choose from thousands of colors to create the perfect outdoor oasis any time of day or night. 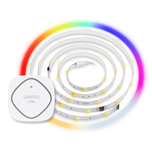 The Starter Set includes: One 14 foot string of nine Gardenspot Mini LED lights, a WeMo Link, a power supply and a LIGHTIFY controller. 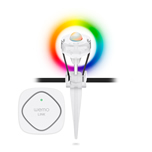 The Tunable White Starter Set features two tunable, 60 watt equivalent LED bulbs to help select the perfect shade of white light for any activity. With a temperature range of 2,700 to 6,500 Kelvin, the tunable whites allow users to switch between the refreshing blue-toned whites that are best for working and warmer, cozier yellow-toned whites better suited for relaxing. The bulbs are fully dimmable and easily installed in any standard light fixture. 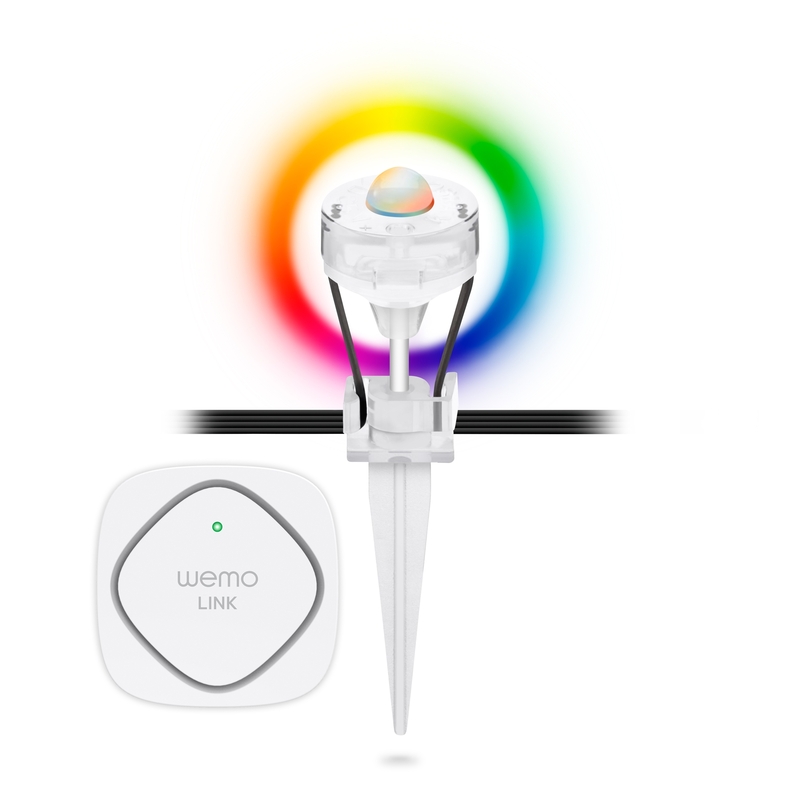 The Starter Set includes: two tunable white A19 LED bulbs and a WeMo Link. The Flex RGBW Starter Set offers fully adjustable and flexible decorative lighting in thousands of colors and a full range of whites. Simple to install with a self-adhesive backing, the Flex RGBW strip can highlight a piece of furniture or architectural detail, provide under-cabinet lighting, or add dramatic lighting to any area in the home. Fully dimmable and tunable from 2,700 – 6,500 Kelvin, the Flex RGBW Starter Set includes: three flexible, 2 foot long LED strips, a WeMo Link, a power supply and a LIGHTIFY controller. 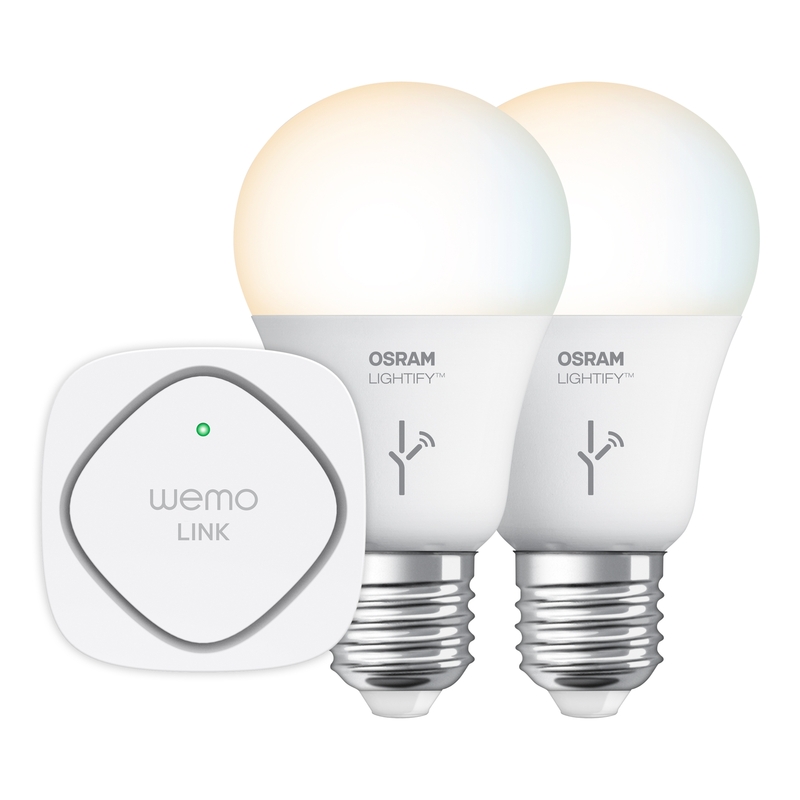 The three new WeMo OSRAM LIGHTIFY Starter Sets are available now online and in store at major retailers in the United States, including Amazon.com, Best Buy and Best Buy.com, and Belkin.com. The Gardenspot Mini Starter Set has an MSRP of $129.99, the Tunable White Starter Set has an MSRP of $99.99 and the Flex RGBW Starter Set has an MSRP of $119.99.